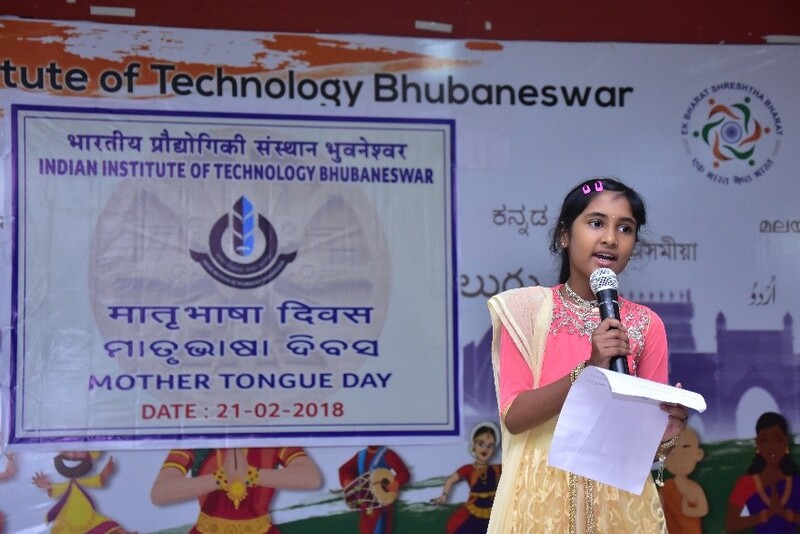 Indian Institute of Technology Bhubaneswar, celebrated the Matribhasha Diwas in its campus at Argul on 21.02.2018 at 5.00 PM to commemorate the International Mother Language Day – a day dedicated to promote awareness of linguistic and cultural diversity and multilingualism. 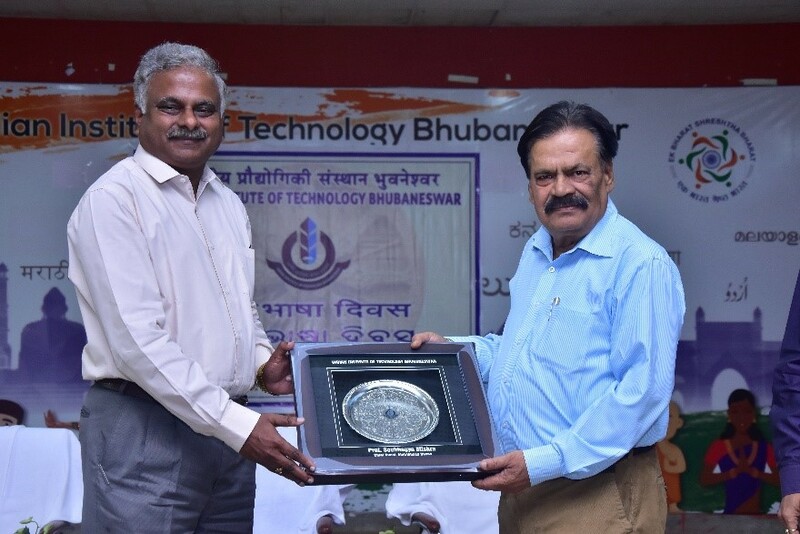 The programme was graced by Prof. Soubhagya Kumar Mishra, Retd. Professor and an eminent writer/poet as Chief Guest. Speaking on the occasion Prof. Mishra emphasized on maintaining the cultural heritage of India by giving respect to the Mother Toungue. Prof. R.V. 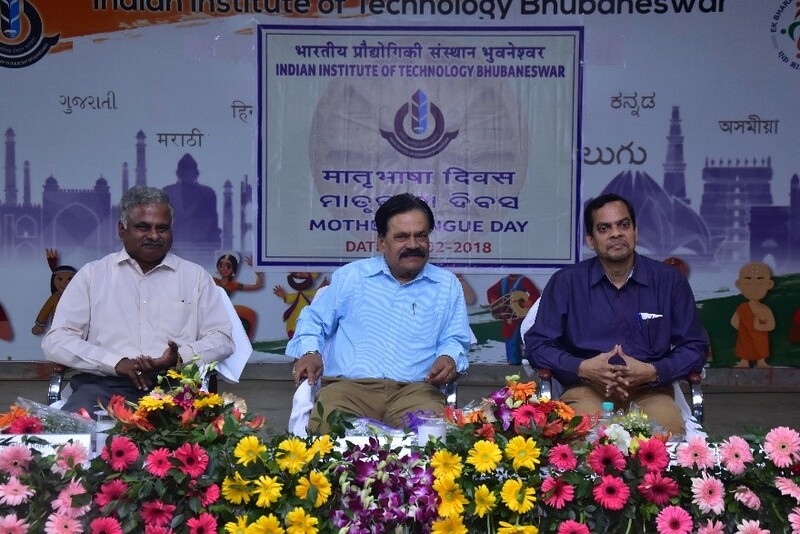 Rajakumar, Hon’ble Director, IIT Bhubaneswar has presided over the function. The Director reiterated the rich linguistic diversity of the country and called upon the audience to feel proud of our own Mother Tongue to maintain the tradition. 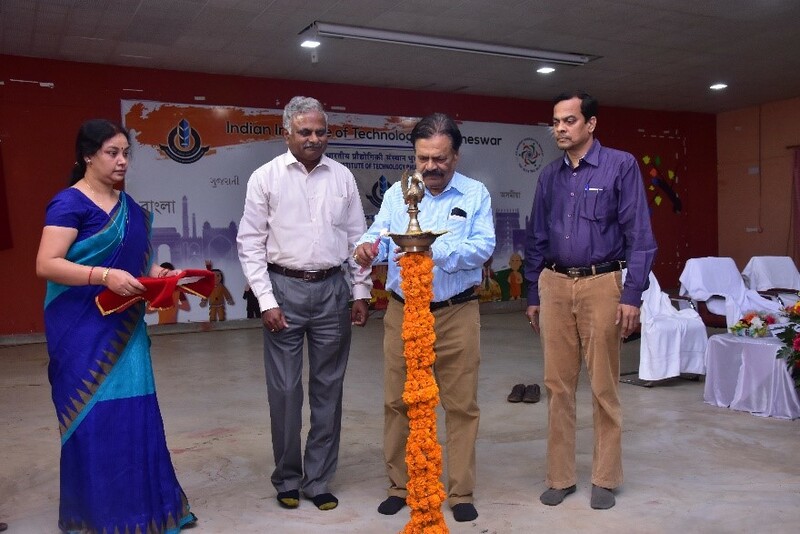 This was followed by a symbolic lamp lighting event by the Chief Guest, Prof. Soubhagya Kumar Mishra, Prof. R V Rajakumar, Director and Shri Debaraj Rath, Registrar, IIT Bhubaneswar. The programme was witnessed different performances displayed by some students, staff and faculty members and their wards in different languages. Dr. S N Routray, Assistant Registrar proposed the vote of thanks to everyone present there. 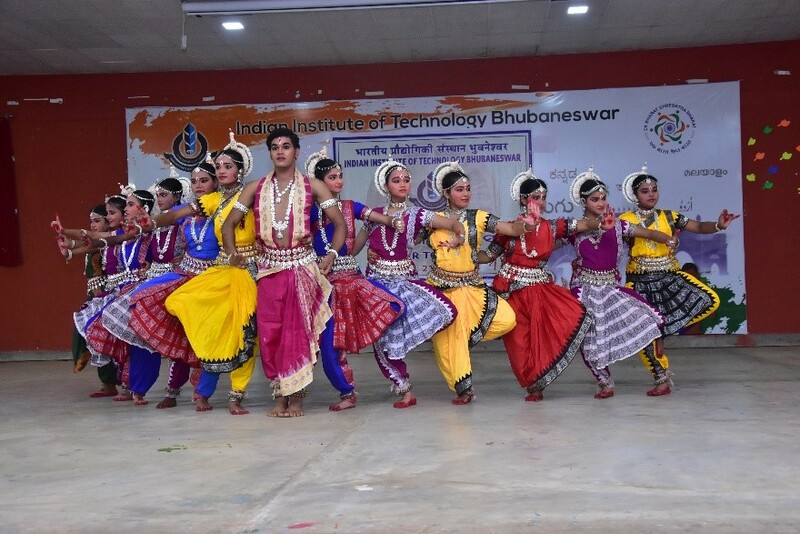 The programme was concluded with a Odissi dance programme show cased by local dance group "Sangeeta".